The Chris Crush cocktail is (a) not something you should try to say three times quickly, especially if you’ve already had a couple and (b) purple! 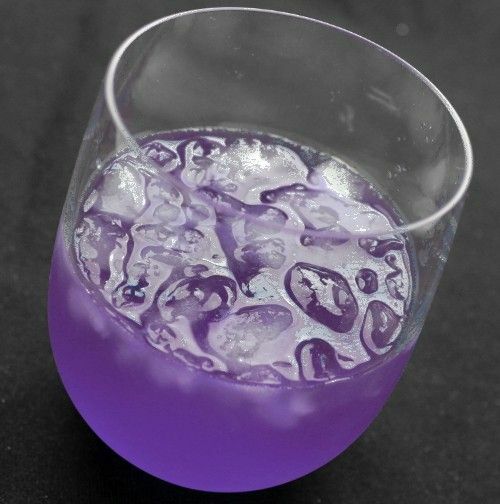 And who doesn’t love a purple cocktail? This is a fun drink that features refreshing citrus notes with a little bit of herbal and sweetness lingering. The soda water adds that little fun kick of fizz to bring it all together. Fill a cocktail shaker with ice and pour in all ingredients. Shake well. Fill a highball glass with crushed ice and strain the mixture over the ice. Fill the rest of the way with the soda water.